San Marcos, CA, — Already in the Holiday Spirit, The Lost Abbey will be releasing its latest addition to its seasonal lineup, Merry Taj IPA. With a release date preceding Thanksgiving each year, Merry Taj IPA will be an extra-hoppy Holiday IPA, a first on The Lost Abbey roster. With an already established Holiday beer like Gift of the Magi (Strong Bier de Garde w/ Brett), The Lost Abbey wanted to give its brewers (who already make exceptional hoppy beers) a chance to do something with this year’s new hops. Merry Taj IPA was able to take advantage of some of the freshest hops available, harvested in September, and will feature five different varieties (Chinook, Centennial, Amarillo, Cascade, Simcoe) used throughout the brewing process. Merry Taj IPA begins with an aroma of crisp floral notes of citrus rind and tropical fruit. Initial flavors of clean sweet caramel malt will give way to a spicy bitterness on the finish thanks to the addition of the Simcoe hops. Merry Taj IPA will not be bottled, only kegged, to get the beer out to consumers as quickly as possible. The name “Merry Taj IPA” pays homage to the holiday celebrations going on from sea to sea, encapsulating the hope of a new year as we inch closer and closer to 2014. It’s also a play on a term from the wine world, Meritage, which loosely translated means: A damn fine blend (of hops in this case). Though Belgian-inspired beers dominate The Lost Abbey portfolio, it’s not the only focus of the brand. The brewing team at The Lost Abbey are certified Hop-Heads at heart and being able to imagine and craft an IPA for the brand was a vision that seemed just out of reach…until now. 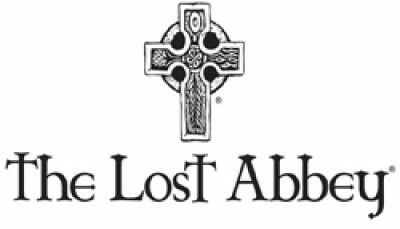 “We were very excited for the opportunity to make an amazing IPA and even more stoked once we tasted it” said Matt Webster, Lead Brewer of The Lost Abbey. “The sweet caramel notes and spicy finish make Merry Taj IPA a great addition to The Lost Abbey lineup and a perfect holiday beer”. Look for Lost Abbey’s Merry Taj IPA on-tap at great beer establishments beginning in mid-November. Founded in 2006, Port Brewing and The Lost Abbey produce an extensive line-up of continental and American- inspired ales and lagers. Under the direction of visionary brewmaster and co-founder Tomme Arthur, the brewery has garnered dozens of awards in its seven year history including the 2007 Great American Beer Festival Small Brewery of the Year, The 2008 world Beer Cup Champion Small Brewery and the 2013 Champion Brewery at the San Diego International Beer Festival. The company’s beers, many of which are aged in oak barrels for 12 months or longer, are universally recognized for their complexity, unique flavors and bold boundary-pushing styles.